Identity theft damage can be life-changing, but there are steps to prevent it. camera (Tetra images/Getty Images) American consumers reported losing over $1.6 billion to fraud according to a recent FTC report. Identity theft was the number one consumer complaint at the Federal Trade Commission last year. So far in 2015, the data breach problem that drives so many identity-related crimes has gotten worse. The massive compromises at Anthem and Premera alone put a combined 91 million records in harm’s way. 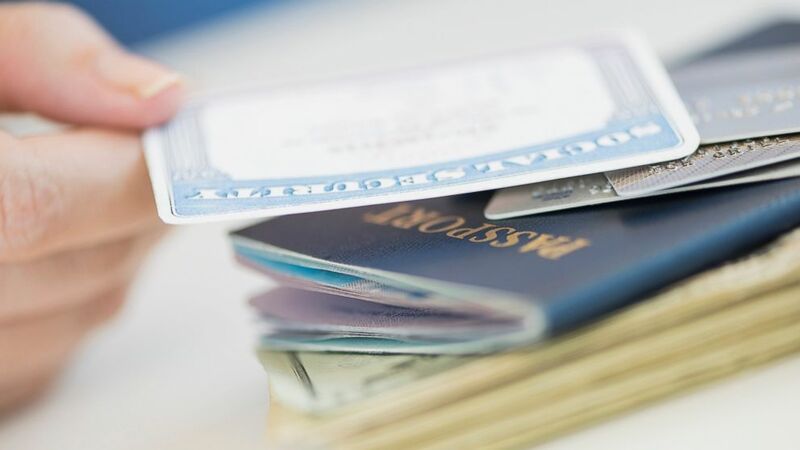 With more information “out there” than we can possibly know, identity theft has become the third certainty in life, right behind death and taxes. And because so many major compromises include Social Security numbers — the skeleton key to not only your financial life, but also your health care and many other aspects of daily life—the damage can be life-changing. The bottom line: Be afraid, be very afraid. According to IBM, more than one billion records containing personally identifiable information were leaked in 2014 alone. An identity thief only needs a few data points like the kind found in many data breaches to tap into your financial life. Science Magazine reported that “anonymized meta data sets” containing product purchase information were re-identified with the people who made the purchases by looking at Instagram posts and tweets that matched the purchases. With more than 2.32 million victims thus far — 500,000 last year alone — medical identity theft is a crime on the rise. It can cause medical histories to get changed, and benefits fraudulently used by others can bar a victim from getting medical treatments – making it a dangerous crime. More From Credit.com: Small Businesses: Prepare to Be Breached! Your best bet is to check every statement that comes in, and make sure the treatments listed on your Explanation of Benefits summaries sent out by your insurer match the care you’ve received. Early in the 2015, Intuit, the company behind TurboTax, had to shut down e-filing in several states after the company noticed an uptick in what appeared to be fraudulent tax returns. Tax-related identity theft is a big-money crime, and the statistics prove it. The IRS stopped 19 million suspicious tax returns last year, and stopped more than $63 billion in fraudulent refunds. A whopping $5.8 billion in tax refunds were paid out to fraudsters. In 2012, the Treasury Inspector General for Tax Administration projected that fraudsters would net $26 billion into 2017. For now, your best defense is to file your taxes as early as possible to avoid falling victim to tax-related fraud. It’s long been known that children in the foster care system were more likely to become the target of identity-related crimes. This was due to the fact that when children move in with a new foster family, their personally identifiable information moves with them. A less well known fact is that more than 30 percent of identity theft victims are scammed by family and close friends of the family. The key in these crimes is of course access to the necessary data. No one knows this better than Axton Betz-Hamilton, whose mother defrauded the entire family — father, grandfather and herself — for almost 20 years. There are services available that protect a child’s credit. It’s also a very nice graduation present to check your child’s credit, and make sure there isn’t a history there. More From Credit.com: Should We Kill the Social Security Number? While it is impossible to avoid some of the fallout from identity theft after it’s detected, it’s not possible to prevent these crimes. If you detect fraud early, it can be contained. And if you follow the three Ms of identity theft management (note that I didn’t say prevention), you can at least have a little piece of mind during this historic crime spree. Minimize, Monitor and Manage. Check your bank and credit card statements every day online to look for fraudulent transactions. You can sign up for free transactional monitoring alerts from banks, credit unions and credit card companies to help in this. Check your credit reports regularly – you can get them for free annually on AnnualCreditReport.com, and you can get a free credit report summary every month on Credit.com – to look for unauthorized accounts or changes in existing account balances. File your taxes early, and keep an eagle eye on your medical insurance benefits. Report any suspicious activity immediately to the respective institution so that you can try to minimize the damage. Make yourself a harder target and know what to do when you become one anyway.